Enter your amount using only numbers and a decimal point. Do not use a "$" when entering your amount. Please add $1.00 for processing. 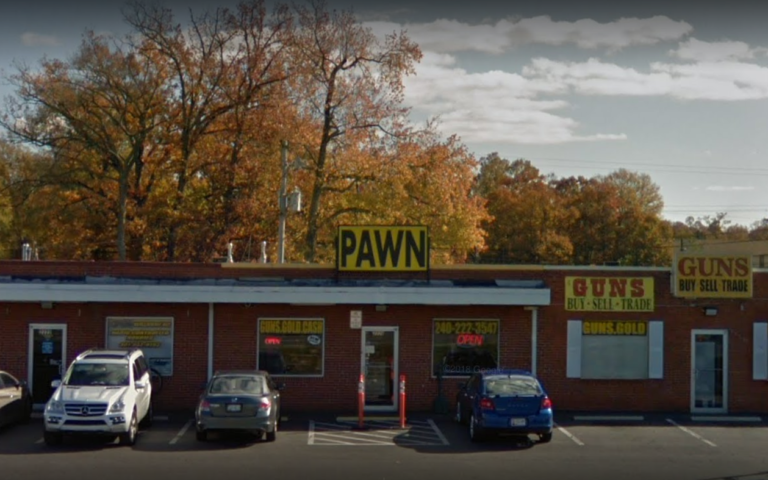 By making this payment using Southern Maryland Pawn Brokers "Pay Online" feature the customer agrees to use this online payment feature as a convince for the customer and the payment will be applied to the customers related pawn. In the event the online payment is not or cannot be processed for any reason the customer is still responsible for making the payment on time in person at the store. You may only pay one Pawn per transaction. This form must be resubmitted for each Pawn you wish to pay. The customer also understands that all pawns must be redeemed in person at the store and redemption payments must be made in cash. PAWNS CANNOT BE PAID IN FULL ONLINE AND MUST BE REDEEMED IN CASH AT THE STORE LOCATION. IN ADDITION ALL TERMS AND CONDITIONS AGREED AT THE TIME OF THE ORIGINAL PAWN REMAIN IN PLACE AS STATED ON THE REVERSE SIDE OF THE PAWN TICKET CONTRACT THAT WAS AGREED TO AND SIGNED BY THE CUSTOMER. ALL RIGHTS RESERVED, ©2010, Southern Maryland Pawn Brokers.